Pretty busy weekend. Yesterday we had soccer. We thought we were going to be rained out, but nope. It was a little chilly and wet, but Davey and his team had a great day. It’s fun watching them get better each week, and it’s also fun to really see them get after that ball and want to try to score. Giant puppets! 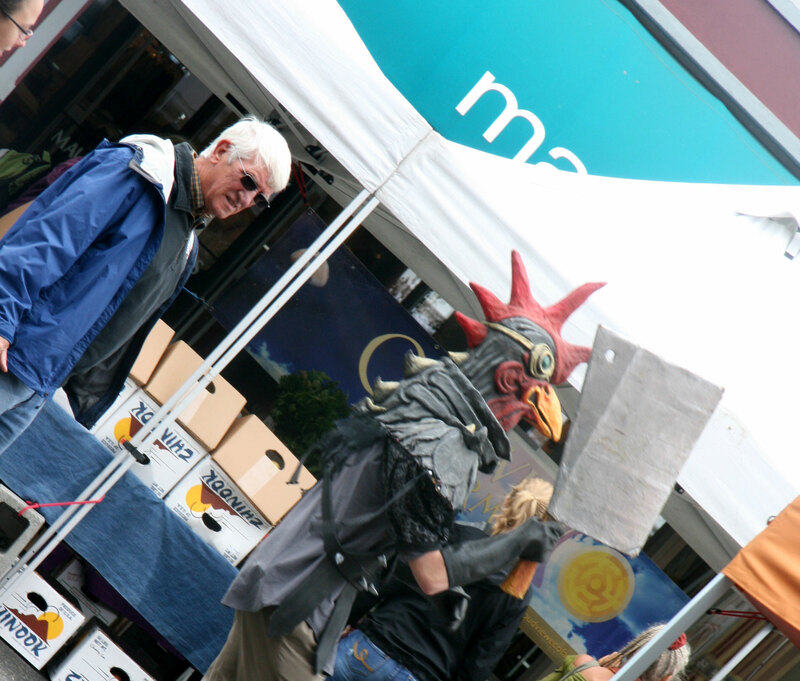 This chicken guy was actually being chased by a puppet with a big mallet, but then they’d reverse and the chicken would chase the other puppet with his cleaver. I think there were more of them out in the morning – maybe next year we will see them! 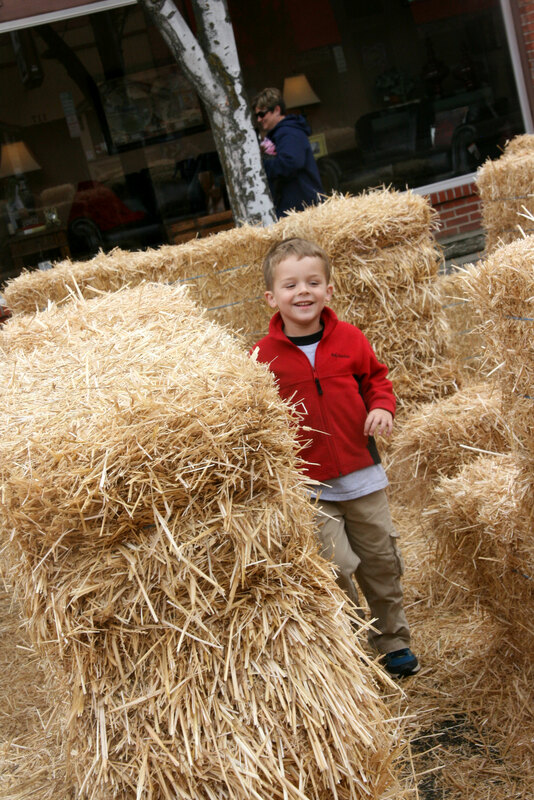 There was a hay maze which Davey enjoyed running through a few times. Today we went to the library and then mostly hung around at home. I had homework to do, and so I knocked some of that out. Then for dinner tonight I made Sesame Tofu. We had discovered Sesame Tofu at a restaurant by our house in Broomfield. It was the first tofu dish that we really really liked, and we went over to this restaurant quite abit to have it. So we miss the Sesame Tofu. I decided I needed to figure out how to make it. I got really lucky and found a great recipe on my first try. This Sesame Tofu Recipe was so good. I didn’t get the tofu quite right, but that will just take a little practice. The sauce was really good. Little Davey loved the sauce on rice, and he even had a little tofu. He’s getting so much braver and becoming really so much more interested in trying new foods. Yay for that. Now tonight – Breaking Bad finale and some knitting time. It’s chilly and a little rainy out, and I’m enjoying this beginning of fall. Tomorrow we are all back to school! This entry was posted in Cooking and tagged buskers in the burg, sesame tofu by cpeezers. Bookmark the permalink. Ooh, I’m pinching that recipe! I eat far too much tofu. 🙂 It takes practise to squeeze it well enough, I found. My method is to wrap it it muslin rather than paper towels and then weigh it down with heavy books on top of a plate. Freezing and defrosting the tofu before eating makes it extra-chewy, too.